Birmingham Friends of the Earth have responded to the West Midlands Integrated Transport Authority’s (WMITA) Integrated Transport Strategy, welcoming the positive vision around increasing use sustainable transport, but pointing out the lack of joined-up thinking in parts of the strategy. The strategy contains numerous references to increasing road capacity, something which directly conflicts with the stated vision of increasing use of of public transport. On active transport, we feel the strategy’s target of a cycle modal share of 10% by 2033 is very umambitious. Birmingham Friends of the Earth supported the re-allocation of road space as well as the investment in local rail and rapid transit mentioned in the strategy, while questioning the role of High Speed Rail versus investing in local transport. “We believe that the strategy identifies the challenges and are encouraged to see that the links between air pollution, health and more active travel choices are recognised. It should also be recognised some of these issues are inextricably linked with social well-being. 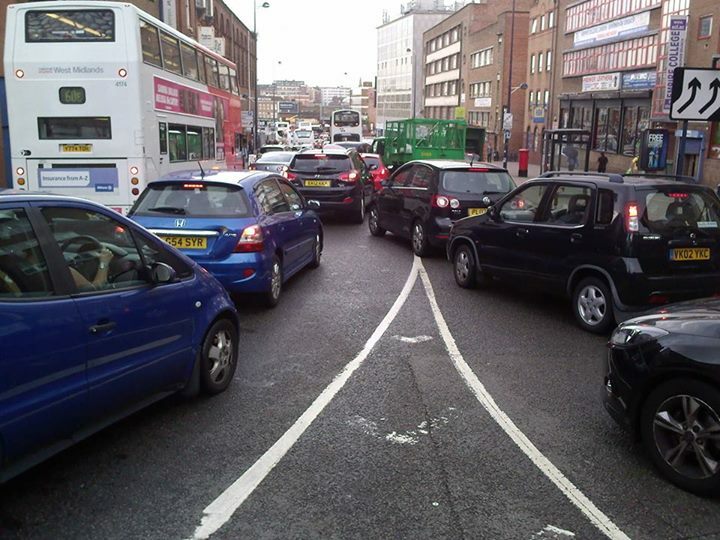 “We strongly support the policy to reallocate road space to public transport and cyclists. However we regard the target of 10% of all journeys in the West Midlands metropolitan area to be made by bike by 2033 as far too low and over too long a time frame. “We are concerned to see that the long term approach is to merely provide for the predicted increased demand in travel. We believe it will not be possible to sustainably cater for such demand even if it is done in as sustainable a manner as possible.